Dangling cervical collars, backboards stuck in tight drawers, so tight that fingers have difficulties extracting the board. Or again, suction equipments with tangled tubes (and, if Murphy wants to play a part, the suction equipment will tangle with the oxygen tubes! ), drips dangling from the ceiling, reachable only by standing (so without the safety belt fastened!). 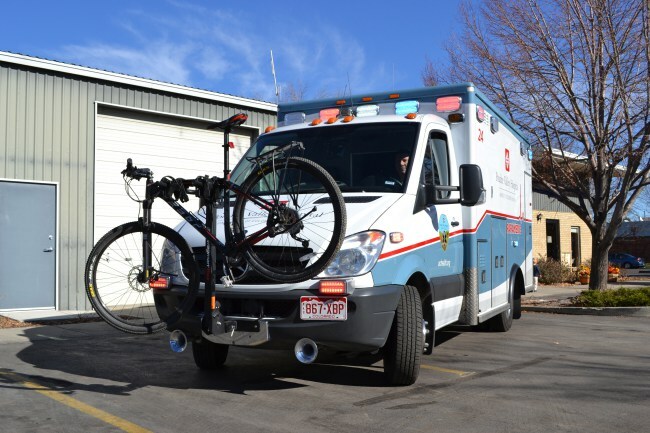 Chaos and equipment positioning in the ambulance are issues that are tried to be solved since decades and in several ways. In the patient compartment there isn’t the same space as in an operating theatre and neither the one of a Formula 1 motorhome. So spaces have to be managed in the most rational way, but not to favor the patient, as many lays think. 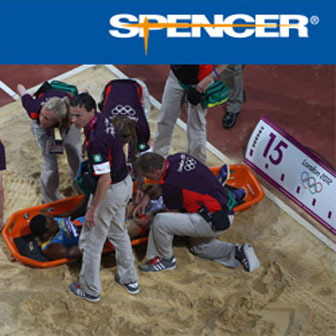 Space is needed to favor the doctor, nurse and rescuer’s activity. They are the protagonists of the patient compartment that, as we want to underline, it is not an ordinary load compartment: it is a real work space, where it is requested to operate even during the vehicle drive. That is why safety and simplicity have to be at the base of every ambulance designer’s decisions and also the cornerstones for the device-disposition decision maker! All rescuers know that working during an emergency is not easy. In addition to the problems outside the vehicle, to the problems of the transfer, to the problem of managing the scene, there is the problem of operating during the vehicle drive. 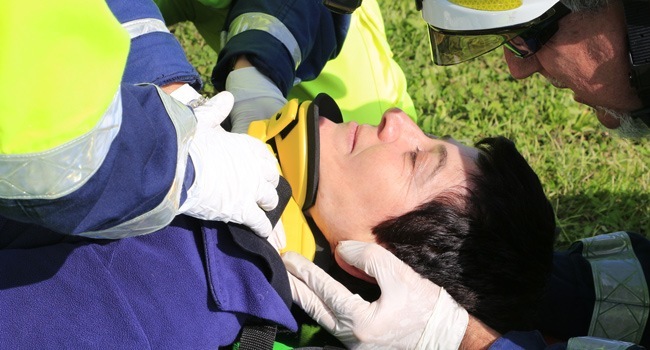 Operating on a patient while the ambulance is reaching the emergency room it is dangerous for several reasons. 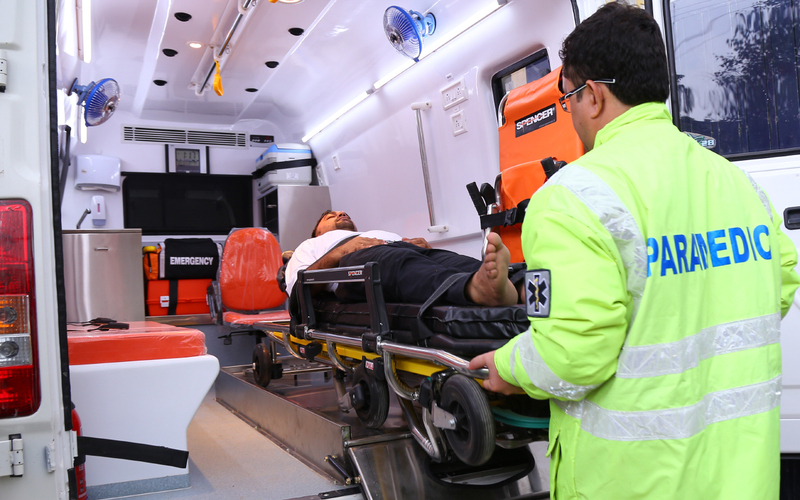 It is difficult to perfectly reach every tool of the ambulance while sitting down, with the safety belt fastened, especially because some fundamental tools are not in the optimal spot during the passenger transportation. We are talking about monitor, suction equipment, oxygen, pipes, gloves and drips. So, how can we make the work space tidier and more reachable? It is not easy and everyone has his own secret. What is sure is that all rescuers have a communal attention for checklists and refilling. If you have to deal with a polytraumatized patient it is an important issue to put everything at the right place, to put everything where it’s more reachable or where even a newcomer can find it. And the mess can become even worse if on board there is another doctor or another nurse. Surely, shift after shift not every rescuer has the same attention for equipments and order. In this way, it is easy to end up facing difficulties because the scissors to cut the safety belt are not in the right spot or because splints are hided in a partially sealed drawer and, when we pull, they all fall on us making us waste time and… patience! That is why there are some easy and simple secrets to better deal with the few space at disposal. Here It is some tips to implement a tool disposal easy to remember. And, you won’t believe, with a fixed order it is possible to find some extra space: what a great pleasure! Today let’s start with some tips to better order the patient compartment and, in the next article, we will face the thorniest topic: space. The waiter method: fast and mathematical. To remember where things go and a certain client is, waiters often use numbers. A numerical list, maybe coordinated with an alphabetical one, allows to better organize ambulance spaces. It is always sufficient to take a reference point to start counting from. For instance, rooms can be numbered clockwise starting from the central boot. In this way room 1 will be for the backboard, room 2 for splints, room 3 for cervical collars, room 4 for the suction equipment, room 5 for gloves, room 6 for pipes and so on. Using numbers simplifies tools identification and definition. It is easy to mark a product with a number and in this way it will be easier to put every product in the right spot. The nerd Method: Smartphone and NFC tag. Technology can help for sure. 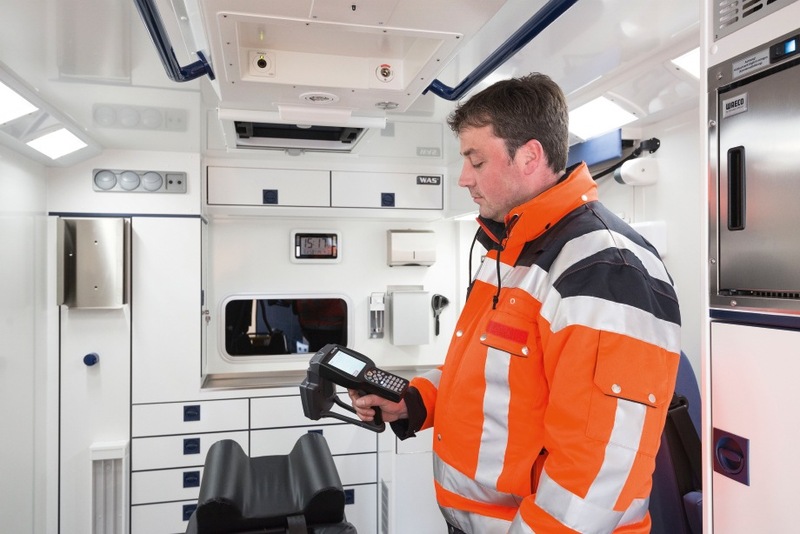 Some organizations have NFC tag based controls that indicate the available quantity of a product in the ambulance, the quantity in the warehouse and in delivery. those are instruments that transform the patient compartment in a latest generation logistic platofrm, avoiding supply problems. By just scanning with the smartphone you will be able to see what each drawer should contain and what it actually contains. What is present? what is not? You just have to refill! Maybe this solution can be seen as a subtraction of responsibility from the volunteers…in this case, the good old piece of paper never fails! It is also important to highlight that a code bar is impossible to be identified at first sight, unless it is coordinated with a color code: it is not easy to memorize “take me the pipe in the 987-333-234023-21 drawer”! 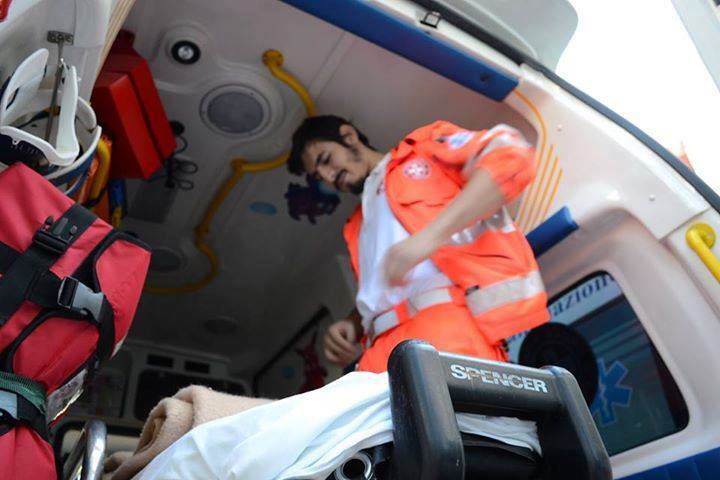 Attaching a checklist in the ambulance can be a great method to force the volunteer who start the shift and the one who end it to do the routine check. You could use a magnetic board and a marker. you could attach the checklist on the behind of the board and on the other side you could draw a green check mark next to the last check time. in this way who does the check has to write it down and disagreements with colleagues will be avoided. Who start the shift should do another check, even because this process allows to consult about the available devices with the colleague who ended. Sticky check-lists can be useful even in another way: in case of a pediatric patient transport, time can be filled up drawing with the child or making him draws. Tools organization can be modified, what is important is to signal it! There are thousands of combinations to build nursery rhymes or short songs that can be helpful in the patient compartment daily check and to make you remember where a certain tool is. In fact some tools could be forgotten and make you waste time. It is helpful for the memory to recall the place where a tool is with a song or a combination. During the planning of the ambulance spaces the most important issue is to adopt a clear method. It happens to have useless tools (for that specific operation) within reach. It is not useful to have the oxygen tank by your side when you are en route and you need an ambu balloon, or when you have to suction a patient. It’s a problem to know that gloves are in the highest drawer, above the cervical collars: gloves are needed within reach usually. To make a good tools check it is important to sit down simulating an operation on the march, marking the strategic equipments and identifying their best disposal. Could be useful to make the simulation not only with the volunteers, but also with doctors and nurses. In this way, during an emergency, the needed tools will be easily detectable and catchable.